Kurt Wallace: Some argue taxing the American people is necessary for the common good of society, and thus politicians debate on how much lower or higher we should be taxed. Libertarians argue that taxation of individual wages is taking our property from our labor. Therefore, it is what they term as government aggression, and thus services should be privatized. But what happens once the government has our money? Since the government does acquire our money, why is the conversation usually more focused on taxing us, and isn’t focused on government agencies and politicians’ spending habits? Does government spending behavior affect governments’ taxing behavior? And here to discuss is Congressman Mark Sanford of South Carolina. Congressman Sanford, thanks for being with us today on Rare. Mark Sanford: My pleasure. Thanks for letting me join you. Kurt Wallace: Congressman Sanford, you returned over 25% of your congressional office budget to the US Treasury. That’s over $230,000. That’s impressive! Mark Sanford: Well, you know, I think it’s important. 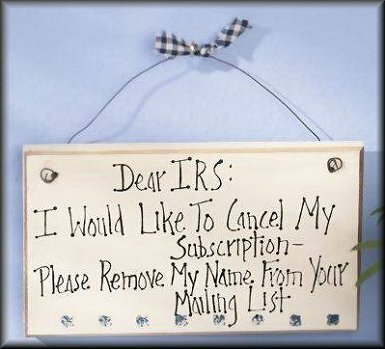 I’m stepping back into office, and they give you more than generous accounts. It it just seemed to me you want to spend enough to do the job, but not more than that. We got to the end of the year – you know, I think that there’s a real temptation in government to spend heavy and read through all these different accounts and all kinds of different agencies of government when they get the year-end, and they just basically get the go to spend it on almost anything. If they don’t, they fear being cut the next year for the fact that they didn’t spend “enough” in the year that they’re in. And so, you know, I think it’s important to lead by example. We did what we needed to do in this year, and the rest we thought we could give back to the treasury, and did so. Kurt Wallace: Well, it’s very impressive. I’ve also seen Senator Rand Paul and his father do the same thing. Why don’t more Republicans return a portion of their budgets to the treasury? Mark Sanford: Well, you know, I can’t speak for other members of Congress, but what I would say is – there’s always a bias for more in government. There are unlimited good causes out there. There are unlimited needy factors out there. There are unlimited needs to be met, and Jefferson warned a long time ago about this tug-of-war, if you will, between government and liberty. His point was more often than not: liberty yielded and government gained ground. So, what I would say is it’s a microcosm of a much bigger debate. I guess that it was Milton Friedman that said that “The ultimate measure of government was what it spent.” It’s not the only measure, but it’s a pretty important measure. That spending drives everything else, as you correctly pointed out. There are all kinds of political debates in Washington (DC) and state capitals across this country on taxes – that’s an incomplete debate. The real debate needs to be about spending, because as you know, you can’t tax but a portion of what is spent and the rest adds up in deficits which is what’s been happening at the federal level – which is why you end up with a big national debt. So spending can be dealt with by taxes, yes. But it can also be dealt with by deficits at the federal level, which is simply basically handing the bills to somebody else. Kurt Wallace: How do you see the libertarian influence in the Republican party at this time? Mark Sanford: You know, I’ve been gone from congress for 13 years. I left here 13 years ago and just came back in June. I would say that there’s a bigger libertarian footprint than there was when I left. There’s a bigger liberty caucus, if you want to call it that. I was just on the floor a few moments ago with Tom Massie of Kentucky and Justin Amash. The people like that – before, it was Ron Paul, certainly, and he stood out – but there wasn’t as big a footprint. There’s a much bigger liberty footprint than there was – still not enough to push us over the line on some of these spending and tax debates – but I think a growing influence relative to what I saw when I left here 13 years ago. Kurt Wallace: Well, we hope that your presence there will influence your fellow congressmen and women to follow the same example and be frugal with our tax dollars. I want to thank you for spending some time with us today on Rare. 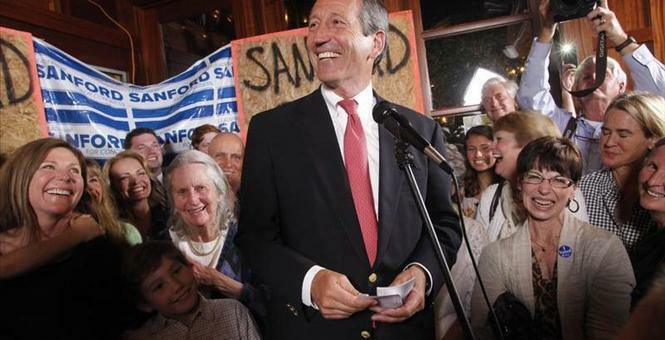 Mark Sanford: My pleasure. Thanks so much for letting me join.